DIY Christmas gift baskets can be customized any way you like. This year, mine focused on cozy warm feelings and spreading Christmas cheer. See how I made these holiday gift baskets filled with S’more Christmas Cheer. 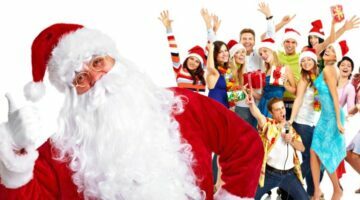 Attending a Christmas party with friends or co-workers? What gift are you taking? Here’s the ultimate list of cheap gift ideas (most under $30) that are great for gift exchange games. If you need Dirty Santa gifts (or White Elephant gift ideas, Yankee Swap gifts, etc), we’ve got the best gifts for adults — from conservative and practical to risque and hilarious — all right here! Unique Father’s Day Gift Ideas: One-Of-A-Kind Adventure Gifts For Dad That He’ll Feel Lucky To Receive! Adventure gifts make the best Father’s Day gift ideas! It’s never too early to start planning for the perfect gift for Dad – especially with more expensive gifts like these. These are one-of-a-kind experience gifts that ANYONE would be thrilled to receive! The best Mother’s Day gifts aren’t the things you BUY… they’re the things you DO with your mom to make her feel special. Skip the boring Mother’s Day brunch this year, and try one of these offbeat Mother’s Day gift ideas — that you and your mom can enjoy together! 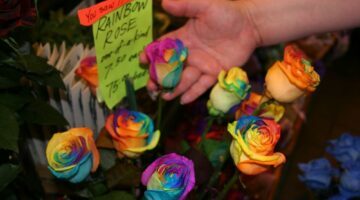 Rainbow roses are real roses! They’re made by inserting dye into the stem of the roses while they’re growing. The color gets absorbed by the petals of the flower. They are not easy to make, and they’re hard to find. Here’s how to have a romantic Valentine’s Day at home – whether you’re planning dinner at home, or you’re just looking for tips to make the evening more romantic. Most Valentines gifts you can buy are cute, but once Valentine’s Day is over, the gift is rarely thought of again. Here are 3 homemade Valentine gifts that will be cherished! All the best tips and bargain hunting strategies to use when you’re doing holiday shopping online. See the different kinds of websites that an online shopper would find useful during the holiday season. Find specific websites and the types of products they represent. For any occasion throughout the year, giving homemade food gifts shows that you invested some time and effort, and that you gave this gift some extra special attention. People love receiving personalized gifts of food! Here are some great ideas for making homemade food gifts. Why not make this a memorable Christmas for a person or a family in need? Here’s how to find individuals and families to help this Christmas — both locally and nationally. Plus ways to help them in person, or anonymously. If you are dreading Valentine’s Day because of your tight budget, don’t worry, there are still fun things you can do to impress your Valentine. Following are some inexpensive ways to give your sweetheart a Valentine’s Day gift that they will certainly appreciate. With careful planning, you can make Valentine’s Day wonderful — even on a shoestring budget! Need some ideas? 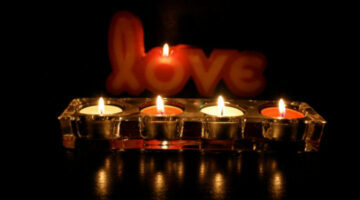 Start with the following 5 fun things you can do for your special Valentine all day long. It’s easy to tell those we love that we love them. However, it takes a little panache to tell someone you love them in a unique and creative way. Here are 10 fun ways to tell that special someone how much they mean to you. Your goal this year should be to give your guy an extra special gift that he will truly enjoy. You know all of the things he enjoys… try to think outside the box and make this Valentine’s Day one that he will never forget! Here are some ideas to get you started. 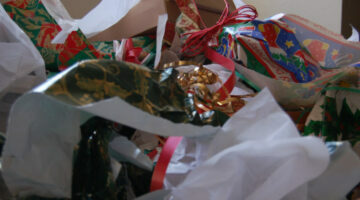 Tips for what to do with all that leftover wrapping paper, bows, ribbon, and Christmas cards after the holidays. Here are a number of options for a gluten-free holiday, including how to find a gluten free turkey to ideas for side dishes, and even some gluten-free Christmas gift ideas. The gift of wine is always be appreciated. Wine is the perfect gift for that person who has everything and other hard to buy for people. You don’t have to be wealthy to purchase wine gifts, because wine gifts and accessories fit many different price points.